Campaign ads and debates are mostly avoiding the Russia investigation in favor of other issues important to voters. Special counsel Robert Mueller can’t escape the headlines, or President Donald Trump’s obsessive Twitter feed. But there’s one place the lead Russia investigator has been noticeably absent: the 2018 campaign trail. Mueller and his inquiry are missing from the campaign advertising airwaves during the final sprint to November. Debates have all but ignored the story, focusing instead on kitchen-table topics like the economy, health care and taxes. Vulnerable Democrats in red states are actually emphasizing the times they’ve reached across the aisle. That’s on purpose, candidates and operatives from both parties told POLITICO. 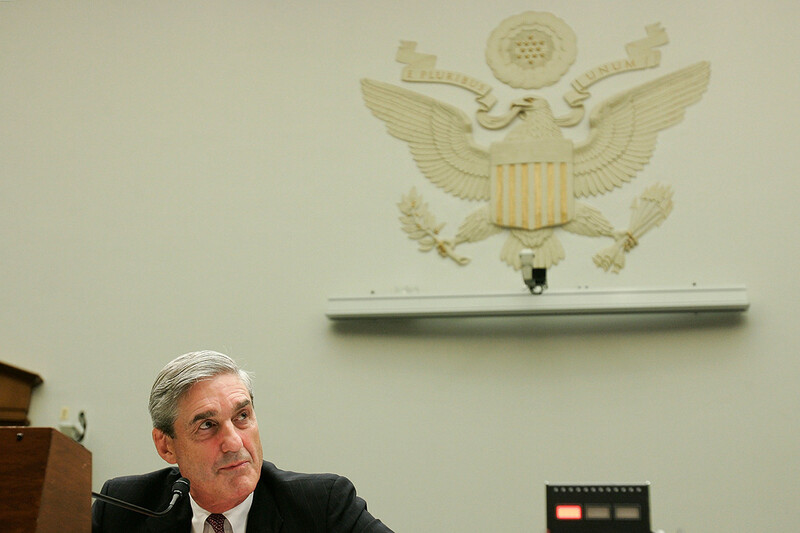 Most Americans are barely following the Mueller investigation’s intricate legal movements, which have already ensnared a few top former Trump aides, alleged Kremlin-backed hackers and a cast of characters scattered across both sides of the Atlantic. Most important, voters don’t want to talk about it either. It’s a rare phenomenon in modern American politics to have a midterm election coincide with a major investigation that delves into the White House. Even rarer is the phenomenon of voters going to the polls at the same time that an investigation remains active into questions of criminality tied to the winning campaign from the most recent presidential election. That makes predicting the Mueller inquiry’s influence on voters that much more challenging, and why Democratic and Republican party operatives and candidates say the topic is best handled as mood music rather than as a primary argument to be used to drive turnout. Sen. Cory Gardner (R-Colo.), who is leading his party’s 2018 campaign efforts, said in an interview that the most vulnerable Democratic incumbents didn’t want to address the Mueller investigation because it would clash with their campaign strategy of showing deference to Trump’s White House. Mueller isn’t totally missing from the midterm discussions. Candidates say they’ve prepared responses to talk about the investigation if it comes up in debates. And while television advertisements have mostly avoided the Russia inquiry, a few campaigns and outside groups like the pro-Democrat House Majority PAC have spent a couple of thousand dollars on Facebook ads designed to increase their own small-dollar donations from blue-state bastions like California, New York and Oregon. Baldwin’s campaign, for example, last month bought a few Mueller-themed Facebook ads seeking campaign contributions. “I wouldn’t say it’s the major note in the chord, but it’s definitely an issue,” Kaine said in an interview. Trump is doing his part to elevate Mueller into the national dialogue in a bid to excite his own base amid fears that Republicans will lose their majority in the House and perhaps the Senate. The president’s team has made one of its central campaign arguments the prospect that a Democratic takeover in Congress would use the special counsel’s findings as a launching pad for impeachment proceedings. On Twitter, Trump has slammed the Mueller “witch hunt” nearly 50 times since the July Fourth holiday, and his “no collusion” riff is a recurring element of campaign rally speeches where Republican candidates are supposed to be the featured attraction. Still, part of the reluctance of down-ballot candidates to embrace the Mueller investigation stems from the mixed bag of recent history. But Kaine, the Democratic vice presidential nominee in 2016, said the comparison between 1974 and 2018 doesn’t work, because Mueller’s probe is not finished. “That’s a once-in-a-century event,” added a veteran Republican campaign operative working with both House and Senate candidates in the 2018 cycle. The 1998 midterms offer lessons of a different kind. That September, the Republican-led House voted to release independent counsel Kenneth Starr’s salacious report about President Bill Clinton’s extramarital affair with a White House intern. Democrats fretted that they’d get killed at the polls as even more materials tied to the Starr investigation were made public in the ensuing weeks. “Death by a thousand cuts,” said then-Rep. Robert Wexler (D-Fla.), according to a Chicago Tribune report at the time. Republicans put both Clinton’s scandal and his potential impeachment out as a central plank of their midterm message. Instead of the GOP meeting its projections for blockbuster gains cementing their House and Senate majorities, the president’s party for the first time since World War II ended up winning seats in the midterms. Then-Speaker Newt Gingrich, who had elevated the Clinton scandal into a midterm campaign issue, lost his leadership post and resigned from Congress altogether the next January. “This was a Seinfeld election,” the analyst Curtis Gans, who was tracking voter turnout, told The New York Times after the election results had rolled in. “He said his show wasn’t about anything, and neither was this election.” The Associated Press cited exit polls showing just 5 percent of voters called the Clinton scandal the most important issue on the ballot. Considering the history from 1998, Democrats are getting credit for their message discipline and not taking the bait to make this year’s midterm race into a referendum on Trump’s legal woes from the Mueller investigation. Political operatives say neither Democrats nor Republicans want to talk about the Mueller probe in no small part because it isn’t breaking through with everyday Americans already deluged by an onslaught of Trump stories. “People are anesthetized to it,” said Rory McShane, a GOP strategist working on 2018 races in Arizona, Maryland, Massachusetts, Nevada and Tennessee. The special counsel’s lack of public commentary also hardly makes for good campaign material, said Larry Sabato, director of the University of Virginia Center for Politics. Sabato noted that even he had lost track of the Mueller probe — a good example of why the topic isn’t front and center with candidates or midterm voters. Is the world facing the threat of a new arms race?